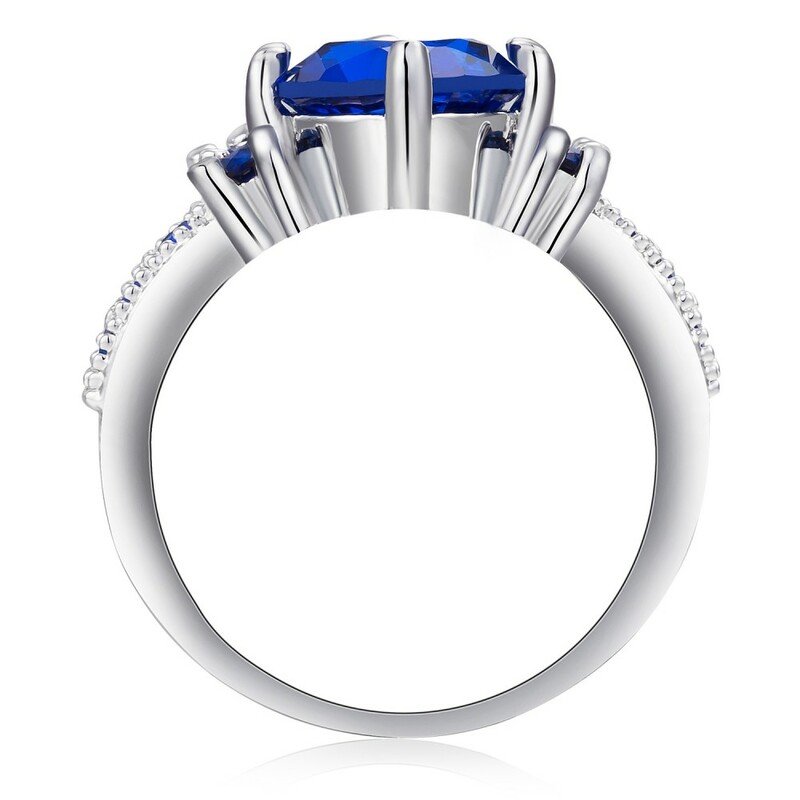 This stunning Rhodium Plated Ring Features a beautiful 2.33 Carat Blue Lab-Created Sapphire Gem Stone. 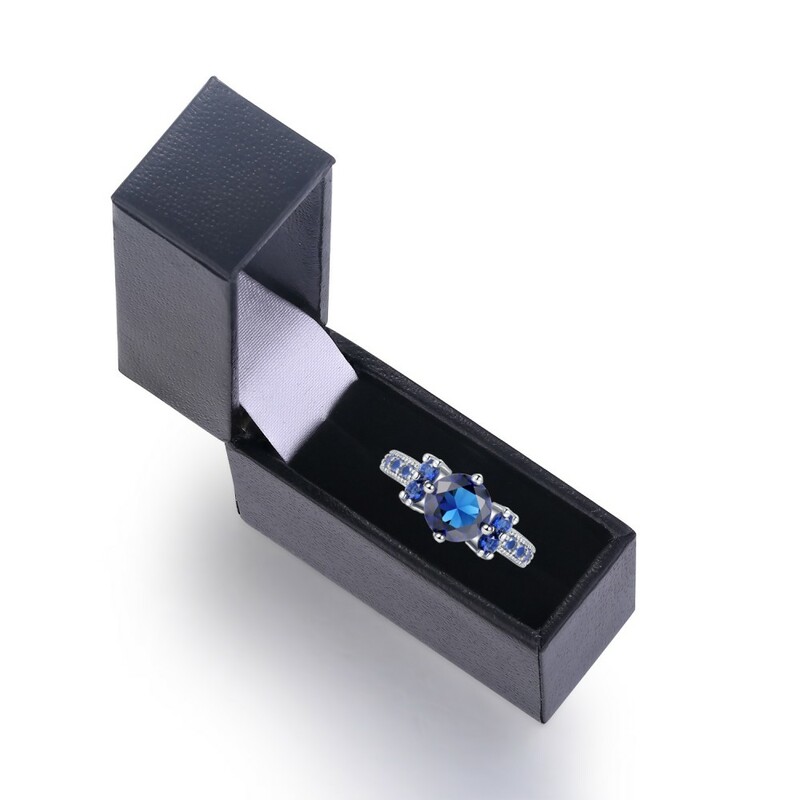 The 2.33 Carat Brilliant Cut Lab-Created Sapphire Gem measures approximately 8mm x 8mm and is complimented with Ten Brilliant Cut Blue Gem Stones. 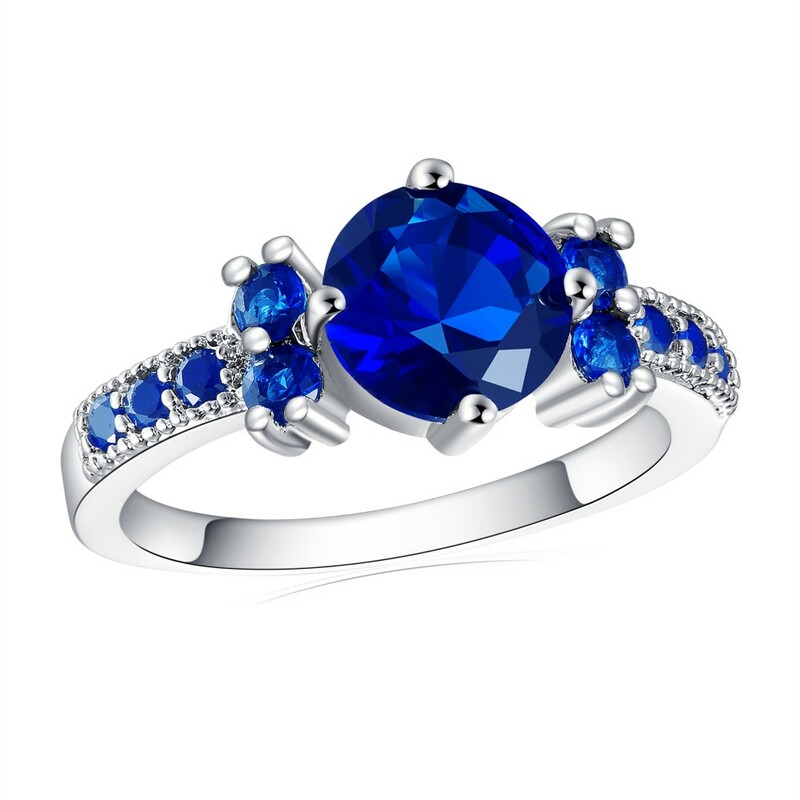 This Ring is available in 4 sizes 16mm, 17mm, 18mm and 19mm. 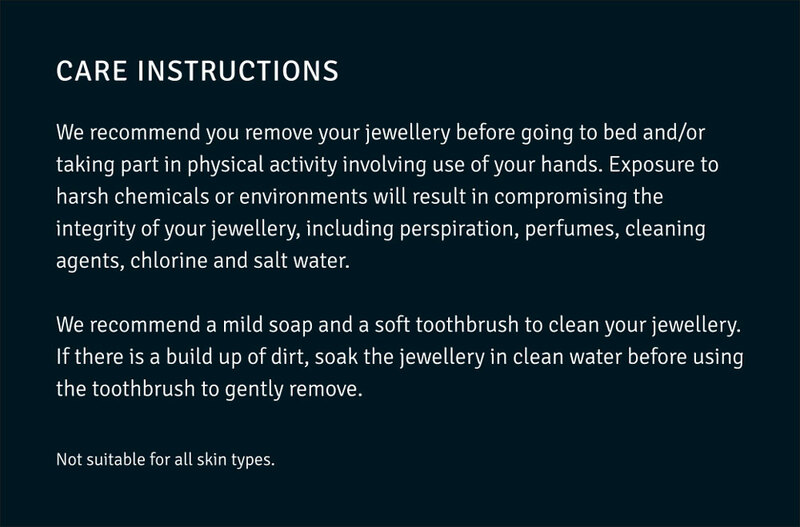 The Ring comes with a Confirmation of product card, Product Care Instructions and a Velvet Ring Box. 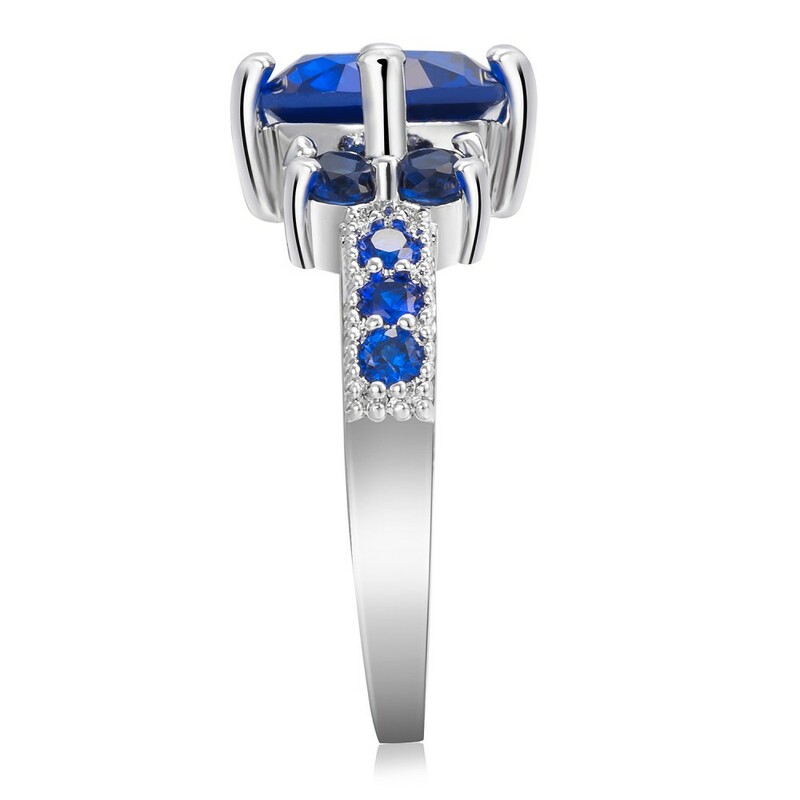 Understanding your Sapphire Stone: The Lab-Created Sapphire Gem Stone has essentially the same optical appearance as a naturally occurring counterpart.